Hockey players and coaches are a superstitious lot. If you need convincing, ask Sidney Crosby. He'll tell you after his half hour long pre-game routine is done. 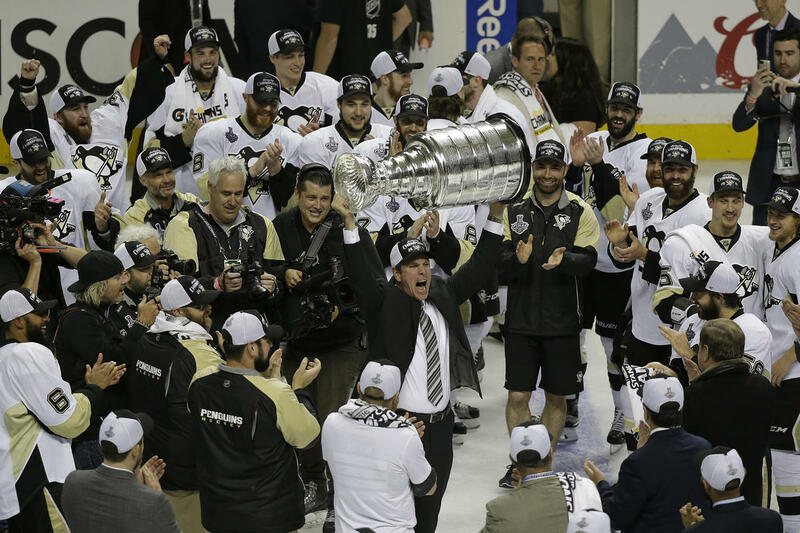 Mike Sullivan and the Penguins coaching staff are no different with credit for their Stanley Cup win going to one lucky beer. The story comes from 21st Amendment Brewery out of San Francisco and you don't have to be 21 to read it. (the coach) thought it was a “sign” given the Penguins’ head coach is Mike Sullivan or “Sully” as they call him – so he bought a pack. The coaching staff enjoyed a celebratory cheers with the beer before Game 4, and the Penguins won against the Sharks and were headed back to Pittsburgh with a lead in the overall series. The Pens lost the next game at home and when the team returned to San Jose for Game 6 the superstition of sports brought the coach back to the same store where he stocked up on El Sully. 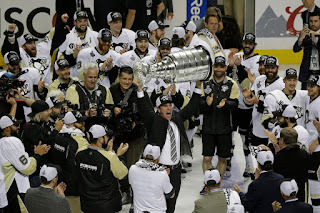 The coaches once again enjoyed a celebratory cheers before the game and that night the Pens won The Stanley Cup. 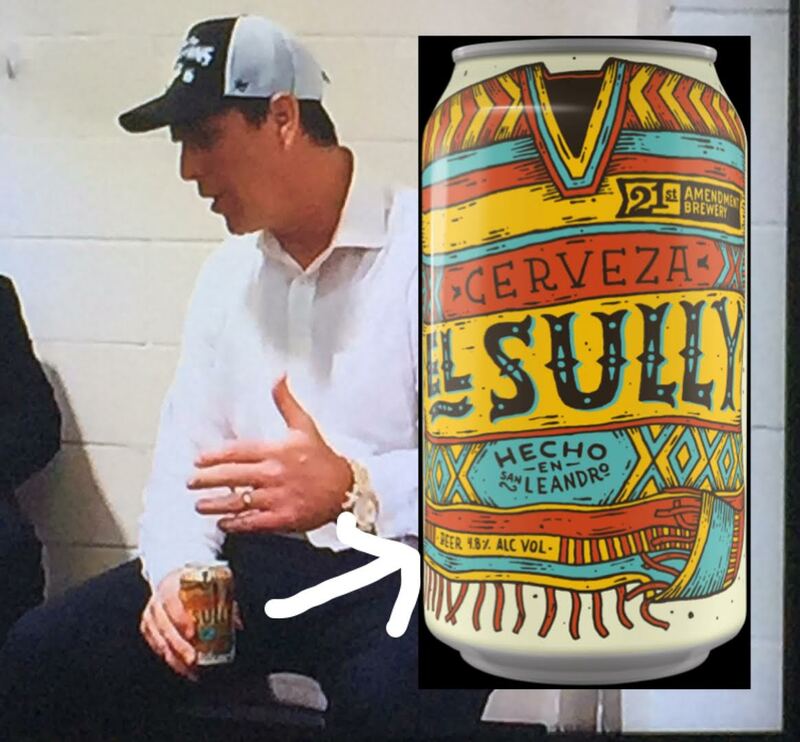 Indeed you can see a can of El Sully in Mike Sullivan's hand post Game 6 win in a screen cap from Showtime's Quest for the Cup. Special thanks to "Slick, Arnold" from hfboards for the picture. The story of El Sully doesn't end there, however. 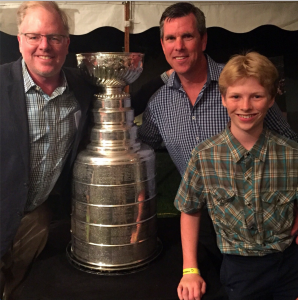 Following the season win, as hockey tradition goes, each player and coach has a day with The Cup. Mike “Sully’s” day was Aug. 4th and as his family was planning his hometown celebrations in Boston, his daughter reached out to the 21st Amendment wondering if it would be possible to get cans of El Sully for the party. Little did they know the beer is actually available in their local stores, but it transpired from there into something so much better, and on Aug. 4, 21A’s Sully (Shaun O’Sullivan, our Brewmaster and co-Founder) traveled to Boston to hand-deliver Sully to Sully. Shaun O'Sullivan was overwhelmed by the attention his beer was getting for many reasons. "I’ve been involved in this industry for 22 years and I have experienced a lot of pretty amazing things, but being part of that day was something extra special. Standing on that stage with Mike telling our “Sully Story,” then watching the video on his team’s journey to The Cup afterwards, and seeing how everyone responded, it was just incredible." There was also the unexpected Pittsburgh tie to the entire thing, bringing it full circle and making it seem kismet, meant to be, a fantastic sign that it was written in the stars. The story’s added layer is that Shaun’s mother and father were born, raised and married in Pittsburgh. He still has family there and they couldn’t be more thrilled with what took place with the Penguins. “To have my namesake beer associated with their hometown hockey team making sports history is truly once-in-a-lifetime,” O’Sullivan added. To read the full El Sully/Sully story go to 21st Amendment's website here. And if you can find some El Sully, pick up a sixer (21 and older please) and thank them for a wonderful right. HOCKEY STARTS TODAY! NEW Pump Up Video! Happy Belated Birthday Alex Ovechkin!